The name of our home in Italy is Calboccia. It is an old farm that we acquired more than twenty-five years ago and then restored. No one seems to know what the name Calboccia means, except that it is also the name of the hill on which we are located. It may be that the name is not a Latin name at all, but a name that stems from the language of one of the tribes that once inhabited this area in pre-Roman times. The site of Calboccia has been occupied for many centuries. 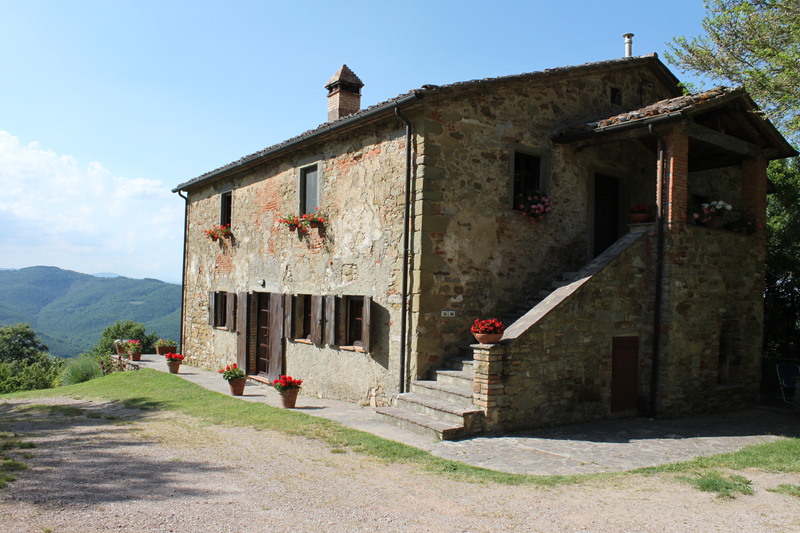 It now includes a 500-year-old stone farmhouse and another stone building (“Essiccatoio“) that formerly was the farm’s agricultural building. Calboccia sits near the top of our hill, at an elevation of 500 meters. The property is surrounded by more than 100,000 acres of meadows, pastures, and woodland.